Safe journey to all those who are travelling this weekend either for family or shopping. Anyone score anything cool from all the Black Friday sales? I snagged a PSVR from Amazon and hopefully, it will arrive next week. We are having a national postal strike (rotating) here in Canada, so there has been a lot of delays in shipping. I also bought God Of War on PS4 since the price dropped for the Black Friday season and, of course, I had to play it right away. 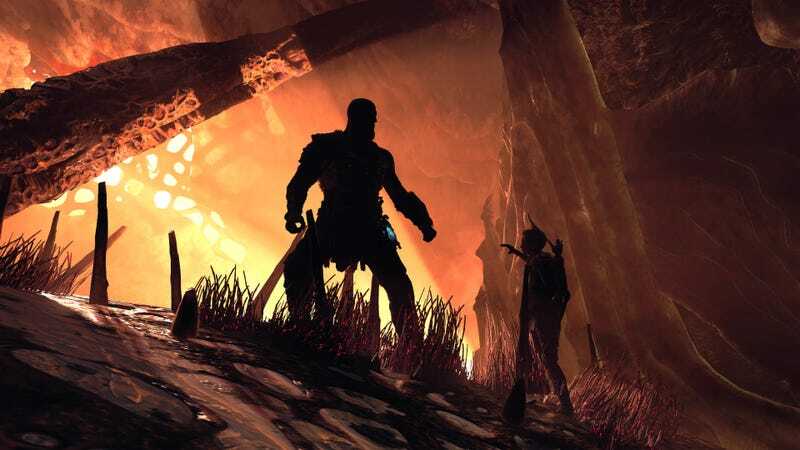 God Of War looks to maybe have more content than Hellblade, though it could be in appearance only. God of War definitely has a more robust inventory system and lots of equipment to flip between to see what will work best for you. For me, Hellblade’s approach to simplicity is much more my style. No inventories, no upgrade systems, and no HUD. I find most of the time spent on inventories and skill trees breaks the flow and isn’t something I enjoy. Hellblade is all you, all the time, and it is this pacing and focus that add so much to the experience. God Of War is definitely fun though and it is some of the best-looking stuff I’ve seen on the PS4 Pro, though, I’m playing with the “Favour Performance” mode vs the “Favour Resolution” mode. The resolution mode allows for 4K output but really sinks the framerate. It was supposed to target 30fps but very often fails to achieve even that. The performance mode unlocks the framerate and generally runs well above 30fps though rarely hitting the 60fps target. Still, the difference is night and day to me. Playing the game in performance mode for a while and then switching to resolution mode makes Kratos feel like he is moving through molasses. The loss of 4K resolution is barely noticeable to me. I spent a great deal of time switching back and forth between performance and resolution and could barely discern any downside to dropping to 1080p for framerate versus staying at 4k for looks. I’m happy to see Santa Monica Studio has included numerous options for the hud and this allows me to remove much of the ugliness that mars the beautiful visuals of God Of War. The compass can be assigned to touching the PS4 Touchpad to bring it up temporarily instead of being constantly on the top of the screen (as in above pic). The game is rather linear so far and I find very little use for the compass at all. You can also remove the enemy indicators that show when enemies are behind Kratos. Since your son will verbally warn you about incoming attacks from behind, it is redundant to have indicators on the hud. I am a little mixed on the kid in the game. I like the interpersonal interactions with Kratos and his son, but there are some serious issues with the continuity of the tone. There are gut-wrenching moments between the father and son in the cutscenes, but then the kid turns back into wise-cracking Drake Jr. during most of the adventure. It isn’t really annoying, but it is inconsistent enough that I found it hurt the exploration of this difficult relationship. We are done with our Black Friday shopping around my house and will be able to avoid going out at all this weekend. It is my wife’s birthday weekend as well and I’m looking forward to celebrating that with her. I imagine we will be playing more of The Last Of Us and watching more Castle Rock. Hopefully, my son and I will also try to squeeze in some more of Breath Of The Wild.